Hague Dental was set up in 1996 to provide quality dental engineering, with rapid response times, since then we have gone on to develop our services further including Dental Pressure Vessel Inspection, Written Schemes and Certification for Compressors. 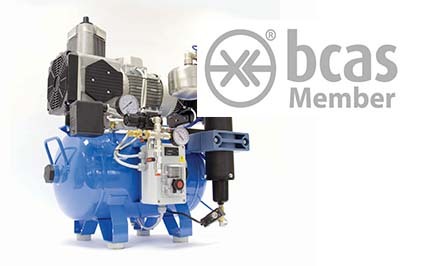 Our team are BCAS members with means they are certified to officially carry out this service. All members of staff must be fully trained in the operation of autoclaves prior to use. Pressure Vessel Inspection to a Written Scheme of Examination in accordance with The Pressure Systems Safety Regulations 2000 and Certification of the Compressor.